Imperium is a mud offering a variety of classes and races, each with a unique set of abilities in a huge, all-original world. A multi-continental world which is still expanding, even after years of growth. Imperium uses a zone docking system to allow fast travel with minimum lag. The zones are all unique, featuring many different themes, some new, some recognizable. There are always places to adventure. Geared towards both roleplaying and combat, pking is allowed within certain restrictions. Multiple characters are allowed, up to three online at a time. 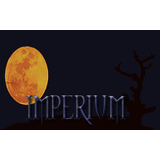 Imperium's features include increased AI for mobs, multiple coin types, spell components, a unique introduction system, a wide variety of classes and unique spells, and huge travelling terrain with inns scattered throughout the continents, though they allow lodging for free at this time. Item descriptions may be customized, within the fantasy world theme, for a modest amount of platinum. The Imms are both helpful and professional, having had many years of both roleplaying and MUD experience.